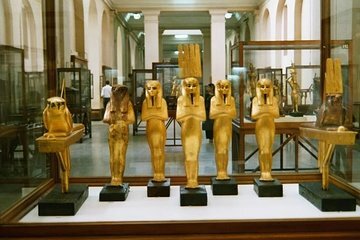 Explore the Egyptian Museum and Old Cairo in one stress-free day with this private tour. Ideal for travelers who have already visited the Giza Pyramids, the tour takes you first to the Egyptian Museum to view its treasures. Next, continue to Islamic and Coptic Cairo to visit highlights such as the Salah El Din Citadel, Hanging Church, and Khan El-Khalili bazaar. Hotel pickup and drop-off and guiding are included.